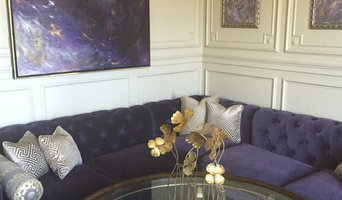 Evelyn James Interiors is an interior design business with a boutique style store front in the heart of Squirrel Hill. WE GUIDE YOU FROM CONCEPT TO COMPLETION We offer comprehensive interior design services helping to ensure a cohesive, sophisticated and collaborative process when creating or reinventing the style of our clients’ homes. ________________________________________ Our complete Interior Design Services include: •Space Planning/Schematic Generation & Blueprint Analysis •Interior Architectural Drawings/Floor Plans •Style Selections: Fabric, Furnishings, Fixtures & Finishings •Custom Drapery, Upholstery & Bedding •Professional Furniture Refinishing, Reupholstery & Refreshing •Procurement via exclusive relationships with elite manufactures & product lines •Installation & Delivery by bonded & insured professionals •Fine Art Advisory & Consultation •Complete Design Management Services •Continued Client Care & Aesthetic Updates ________________________________________ A CREATIVE PARTNERSHIP Every design project is unique. Our goal is to embrace that uniqueness and design a home that will suit the people who live in it. Orchestrating the types of spaces we design requires collaboration and developing a creative partnership. COMMUNICATION IS THE KEY TO SUCCESS We bring a professional approach to residential interior design projects ensuring that details are carefully considered, documented, and that all moving parts come together perfectly on installation day. Detailed specifications, schematics, trusted partners, and open lines of communication are how we get there. 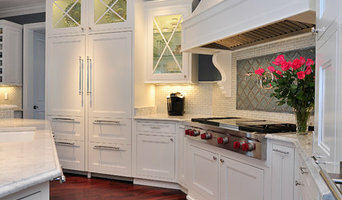 Marvista Kitchen and Bath provides full design and remodeling services for your Kitchen or Bath project. Our in-house designer, works hand in hand with our project manager and carpenters to ensure your Kitchen or bathroom remodeling project gets done as smooth as possible. This team approach takes all the guess work out of a typically stressful process. We provide 3-D life like renderings of your project. No more running around from store to showroom picking out finishes. We get to know you and your style and bring the finish choices to you. 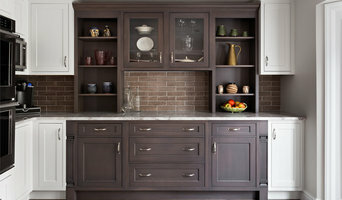 Get inspired with our team to create your dream kitchen or bath. Melissa Blackwood Homes & Interiors is a design/build company specializing in the creation of beautiful and functional homes, gardens and outdoor living spaces for discriminating homeowners in Pittsburgh, Pennsylvania, and the surrounding communities. Residential and Corporate interior design services. Selection of all finishes and accessories. Color scheme concept. Custom artwork. Consultation online thru my website, affordable. Layout. Bathroom and kitchen remodeling. full service interior design: As a full service interior design firm, I keep my team and active projects small so my involvement with and commitment to being hands on with each client remains the focus. My approach allows busy clients to enjoy the design process as I manage the project from our initial contact to the last vignette styled into place. Whether one room or your entire home, I offer an imaginative, efficient and energetic design experience tailored to your lifestyle, taste and personality. My goal is exceed your expectations and establish a long term relationship we can build from for years to come. custom home design: Whether you are building a new home, in need of a full or partial remodel of your current home, or looking to build an addition I am here to assist you! No matter if you are are busy, working professional or a stay at home parent I understand you may not have the time, energy or creative vision it takes to oversee a project from start to finish. I consider it a pleasure and a privilege to partner with you during the process of building your dream home! e design: I am willing and eager to travel anywhere, but if your budget does not allow us to work together in person I offer my services via the world wide web. I will review your completed questionnaire, existing photos, detailed measurements and photo inspiration for your future space and take it from there! In four to six weeks you will receive a concept board displaying all main elements of your space including: furniture, flooring, window treatments, accessories and lighting. A scaled floor and furniture plan, focal wall elevations, fabric swatch sheet, paint and/or wallpaper samples, a shopping list of items to be purchased online and/or locally, and step by step installation instructions on how to create your space will be mailed to your doorstep in a color coordinated box, wrapped in my signature bow. consultations: Consulting services are also available on an hourly basis for both residential and commercial projects... approachable design advice, personal attention and professional service with minimal commitment! Although primarily based in Pittsburgh, I'm always willing and eager to travel for a great project. I have collaborated with clients all over West Virginia, up and down the east coast from DC to the Carolinas and on both Florida coastlines. Whether you are near or far, I cannot wait to work with you! Debra Pacoe Interiors is a residential interior design firm in Pittsburgh, PA, with client's in the greater Pittsburgh area, South Florida, Ohio, Virginia, Tennessee and Ohio. Debra is an member of ASID and The Home Trust International, Inc. Debra Pacoe Interiors has been featured in Shady Ave Magazine, Whirl Magazine, and Pittsburgh Magazine. Penhollows offers full scale Residential Interior Design services. Locally owned and operated in Shadyside, our Design Center provides clients access to leading furniture, fabric, floor covering and lighting lines. From a simple room refresh to complex design needs, our Designers can help create your perfect environment for gracious living. We work with local artisans and nationally known vendors to help bring your distinctive design vision to life. 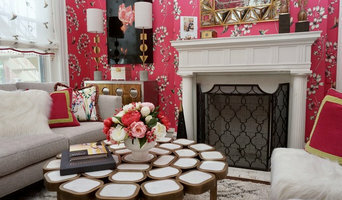 Interior Design Firm specializing in classic and timeless design of residential and small commercial interiors. I have completed a variety of residential and commercial projects, including: renovation of a Pittsburgh home from Frank Lloyd Wright’s apprentice Peter Brendtson, creating non-institutional, happy, and fun environments at the Children’s Institute & Children’s Hospital, and renovating the Point Breeze Veterinary Clinics. A local interior design firm dedicated to preservation of the environment, preservation of history and preservation of the individual. As an International Interior Design Association (IIDA) interior designer and licensed contractor I can take you from concept to completion. Studio S. is a full-service interior design firm assisting in all aspects of your design from start to finish whether it is a consultation, selection of architectural details and finishes, collaboration with architects and builders, or a refresh with furniture, fabrics, and accessories. By offering my clients a comprehensive and tailored experience, I help create homes that bring their inhabitants joy & serenity from first brick to final pillow. Style: a fresh take in the classics with a focus on beautiful textures, clean lines, and a great appreciation of antiques and collected items.